How to quickly create group conversations in Fleep? 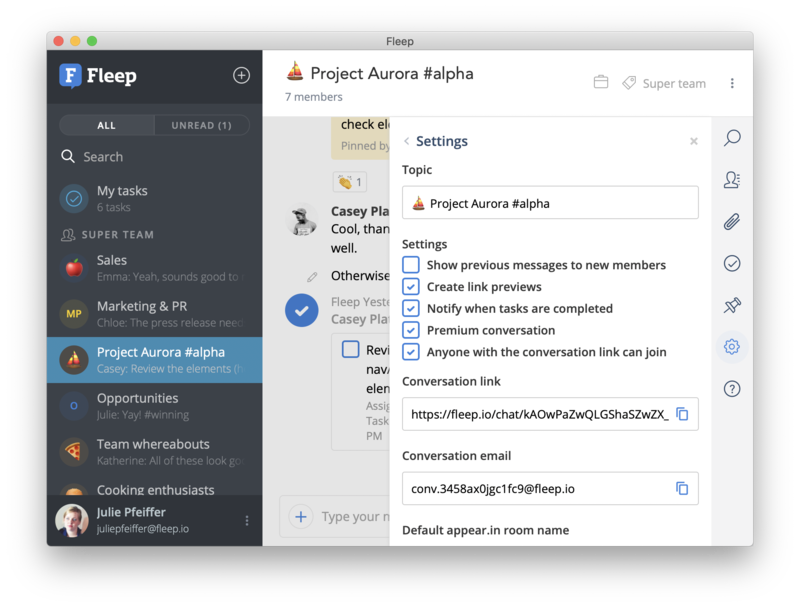 Fleep is a messenger for teams and projects. To make the most of Fleep, you may want to have different team conversations with your whole team, as well as group conversations, each with a different membership in Fleep. 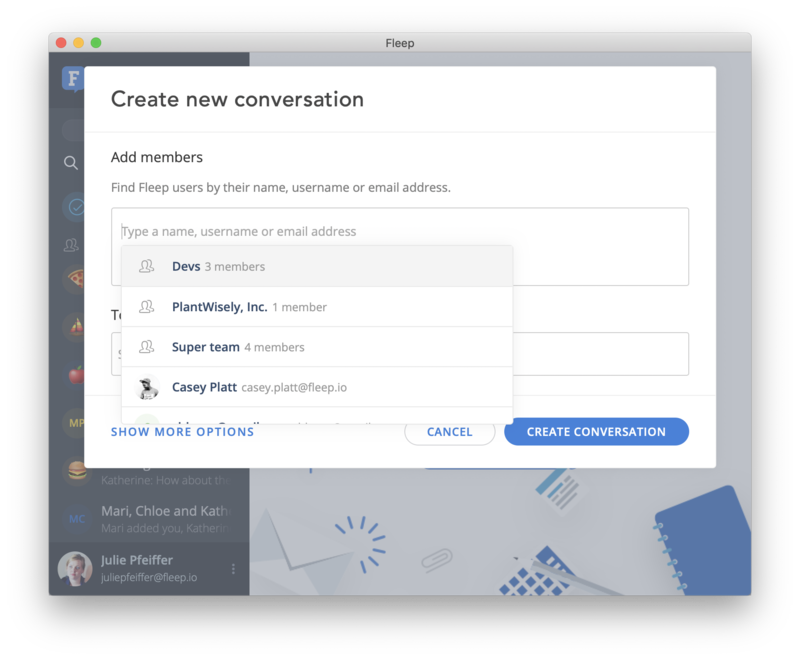 In this blog post, we will show you a few ways how to quickly create group conversations in Fleep. Every conversation in Fleep has its own unique URL link, that can be used to join the conversation. You can find it in the Conversation settings. Step 3: copy & share the Conversation link with the people you want to join the conversation. You can also use this setup if you want people to decide for themselves which conversations they want or need to join (for example, the ESTCube team has set up their conversations in this way). The simplest and most straightforward way to create group conversations is to just add people one by one. So, you can follow the steps below to quickly create team conversations in Fleep. We hope that these tips and tricks clarified how to quickly create team chats and group conversations in Fleep. If you have any questions or feedback for us, don’t hesitate to ping us via support@fleep.io. Do stay in touch with us via our social channels as well (Twitter, Facebook).